Some electric pressure washers are almost too underpowered to be any good. Others have the right level of PSI, but make using the equipment so difficult that you feel like a PhD is needed in order to figure out how to use it effectively. Then you have pressure washers like AR Blue Clean AR240 that restore your faith in electrical pressure washers. 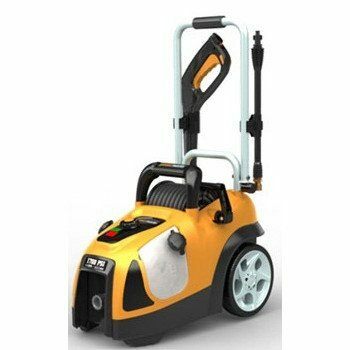 Providing 1750 PSI and a traditional experience, users are going to find that most light duty jobs are going to get quickly and effectively completed with this pressure washer. For less than $150 on Amazon, the price is right too. What Are the Features of the AR Blue Clean AR240? 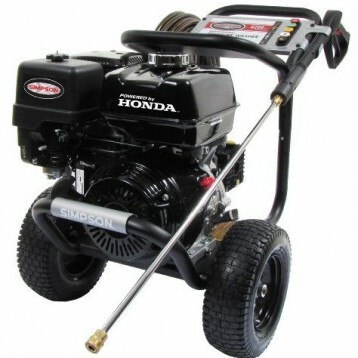 When we first saw this pressure washer, we were actually surprised by how small it actually was. Packing 1750 PSI into this unit is a remarkable achievement and users win because it is lightweight enough that the AR Blue Clean AR240 can be moved from site to site with ease. 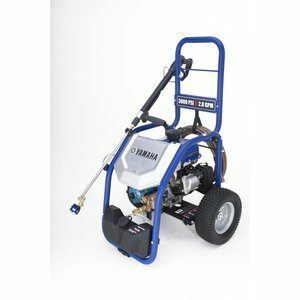 We loved the turbo washer for making fast work of a dirty driveway and the adjustable nozzle is perfect for cleaning decks without leaving those line marks that higher PSI pressure washers can leave. 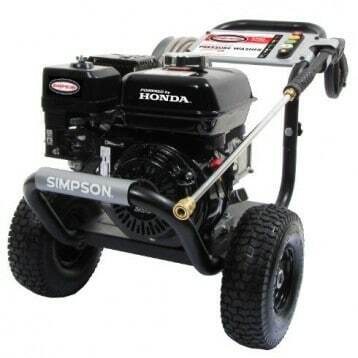 There are some additional features to think about with this pressure washer, which we have listed below for consideration. It has a good stability, even with a slightly upright design, so under most circumstances you won’t have to worry about it tipping over. The power cord is nice and long at 30 feet and it is GFCI equipped for added safety. The spray hose is 20 feet long so you’ll have a lot of working room. Even when compared to other electrical pressure washers, this one is incredibly quiet. It’s about as loud as your neighbor’s lawn mower when it is running. One of the greatest compliments that you can pay a pressure washer is that it gets the job done. The AR Blue Clean AR240 gets the job done. Why Choose the AR Blue Clean AR240 Today? The setup process for this pressure washer was remarkably simple. The average user should have their new unit up and running in just a few minutes. Because it is electrical, you don’t have to worry about letting oil sit for up to 3 days or preparing the fuel in a specific way so that it will run. You just follow the instructions, plug in the pressure washer, and you’re ready to go. There’s a tool holder that you can screw onto the frame of the AR Blue Clean AR240, but having it in place makes it a little hard to make sure that the hose gets attached to the unit. We recommend just leaving this bit off and managing your extra accessories that would normally fit onto the pressure washer off the body of the unit. With a swivel adapter that allows you to have a fluid working experience, the AR Blue Clean AR240 offers a consistent experience for an affordable price. 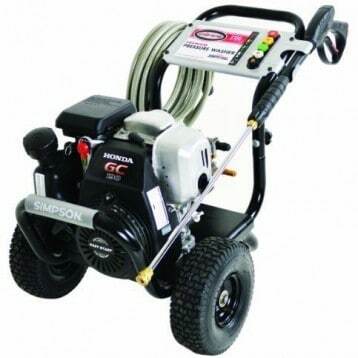 That combination definitely makes it one of the best pressure washers to consider owning today. 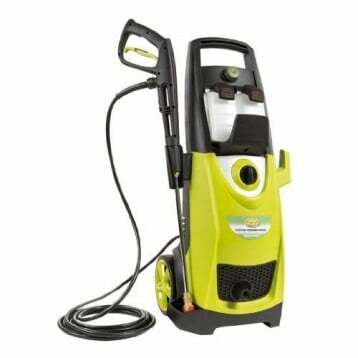 Click here to view pricing on Amazon and find an awesome deal on the AR Blue Clean AR240 Pressure Washer.